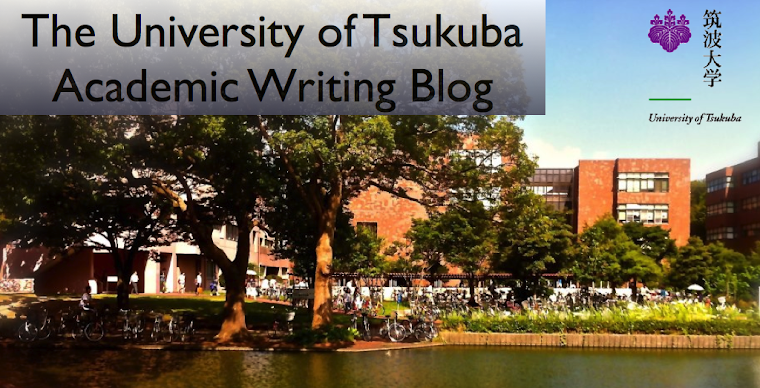 The University of Tsukuba Academic Writing Blog: My life at the University of Tsukuba by Rei S.
My life has changed dramatically since I entered the University of Tsukuba and began living by myself. I must prepare meals by myself, so I started to cook. At first, because I couldn't use a kitchen knife well, cooking took a long time. Therefore I often ate instant food. However, I came to enjoy cooking as I gained experience. I want to be good at cooking and treat friends to dinner someday. Living alone, I can spend much time on my hobbies. I like fiction, so I read novels when I have time. I like mysteries and science fiction and read them more than twice a month. My favorite writer is Kishi Yusuke, and I have a almost book written by him. Furthermore, I often listen to music and watch movies. While they are really exciting, I should be careful not to put my heart into them and neglect my studies. I travel by bicycle in Tsukuba because of large campus. I go to school, supermarkets, restaurants and my friend's house by bicycle. I have a driver's license so I want to have a car and travel by car. Hi,Rei S. I read your blog. I started cooking from live alone. What favorite dish do you cook? From March in this year, I start to live by myself in Tsukuba, too. So I want to try to cook! Of course, I speak dialect of Gunma. I want to talk with you sometime.